The many important community projects that we support are made possible through fundraising events like our Designer Kitchens of the North Shore tour and our award-winning cookbook “It’s A Shore Thing”. In addition, for the past 70 years we have operated our Thrift House, a resale shop located at 920 Chicago Avenue in Evanston. THRIFT HOUSE: Part of our organization since 1940, the JLE-NS Thrift House is our League’s oldest ongoing project and fundraiser. Located at 920 Chicago Avenue in Evanston, Thrift House helps support our League and our community projects while serving a diverse community. Thrift House also offers Voucher Programs to our partner non-profit organizations including Mary Lou’s Place, a domestic violence shelter in Evanston, and the Youth Job Center of Evanston. The vouchers enable clients of these organizations to shop at the Thrift House at no charge. League members and the public are encouraged to support Thrift House by donating gently used or new clothing, books, electronics and household items. DESIGNER KITCHENS OF THE NORTH SHORE: Each spring The Junior League of Evanston North-Shore presents a spectacular tour of residential North Shore kitchens created by celebrated kitchen designers. In addition to being inspired by these beautiful spaces, tour attendees have the opportunity to speak with each designer as they discuss the latest kitchen trends. Scheduled for Friday, May 1, 2015, this tour is the perfect way to get together with friends and enjoy beautiful kitchen design! 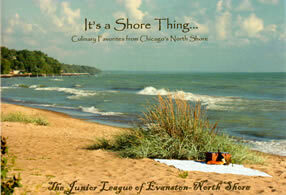 For sponsorship and ticket information, or for media requests please contact the Junior League of Evanston-North Shore office. Click here for more information. “IT’S A SHORE THING” COOKBOOK: Our magnificent cookbook, It’s a Shore Thing: Culinary Favorites from Chicago’s North Shore, has been endorsed as “The Official Cookbook of Chicago’s North Shore” by Chicago’s North Shore Convention and Visitors Bureau. 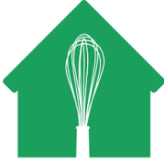 The recipes are favorites of our members, local celebrities, and personalities with ties to the North Shore, and well-known restaurants. In additions to recipes and entertaining tips, the cookbook also includes an historical walk through the villages and townships that make up Chicago’s North Shore. Click here to buy your own copy. Fashion Auction: Join the Junior League of Evanston-North Shore for an evening of fashion, food and fun this Tuesday June 28th. A fashion show and silent auction will benefit JLE-NS, along with several other organizations. Attendees can shop their cause by designating money raised from their purchases to go directly to JLE-NS.